Only Random Acts Could Get Me To Try My First 5K! 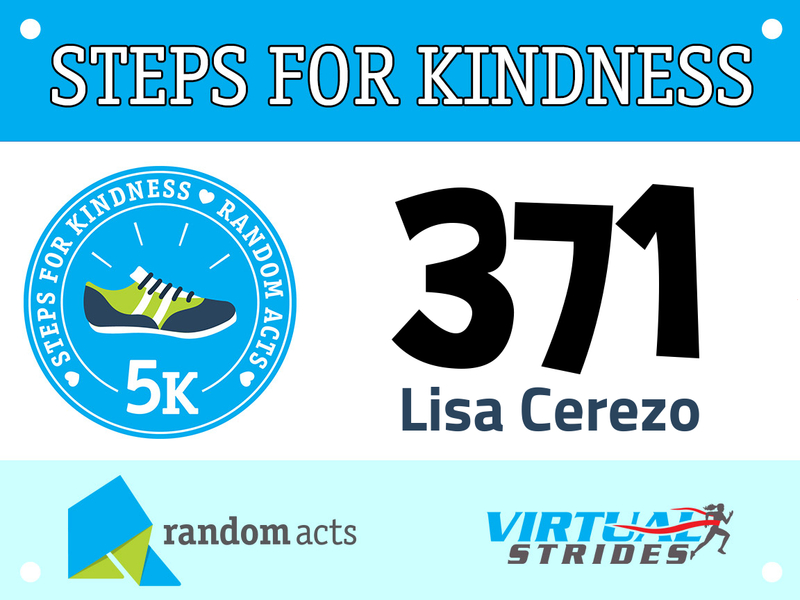 It’s called Steps For Kindness, and it’s a “virtual” 5K — which means that you can participate wherever you are, whenever you like (within a set period of time). You can walk, run, wheel, skip, jump, or whatever! And best of all — if you’re me, anyway — you don’t even have to do it all at once. I’ll admit, I was worried that I couldn’t walk the whole thing in one outing, but I did. I have to say, my participation with Random Acts over the past couple of years has inspired me to try things I never thought I would do. This, I think, is my biggest accomplishment to date. Interested? There’s still time to sign up and do your own! Funds raised support Random Acts and Homeboy Industries in Los Angeles. Click here to sign up! Previous Post Previous post: Kindness Running AMOK!